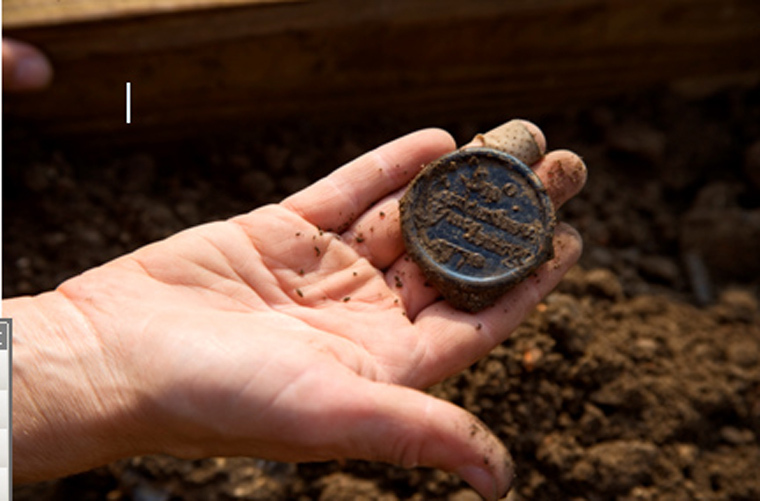 The Department of Archaeological Research has conducted archaeological excavations throughout Colonial Williamsburg for more than 60 years. Working in conjunction with the College of William & Mary they are curators of the largest Colonial-period archaeological collection in the United States. All image in this post are sourced from the Colonial Williamsburg research website, unless noted otherwise. 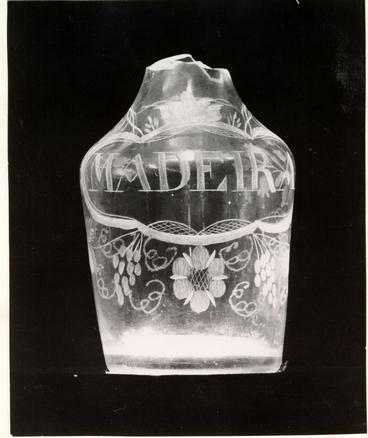 Glass bottles were used to store a variety of beverages, food products, and medicines. 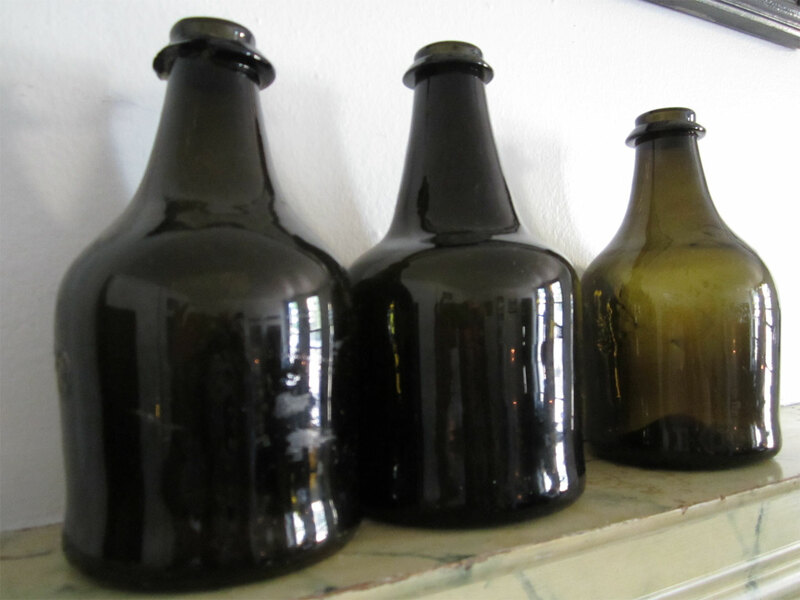 Medicinal bottles are more upright and cylindrical in nature. 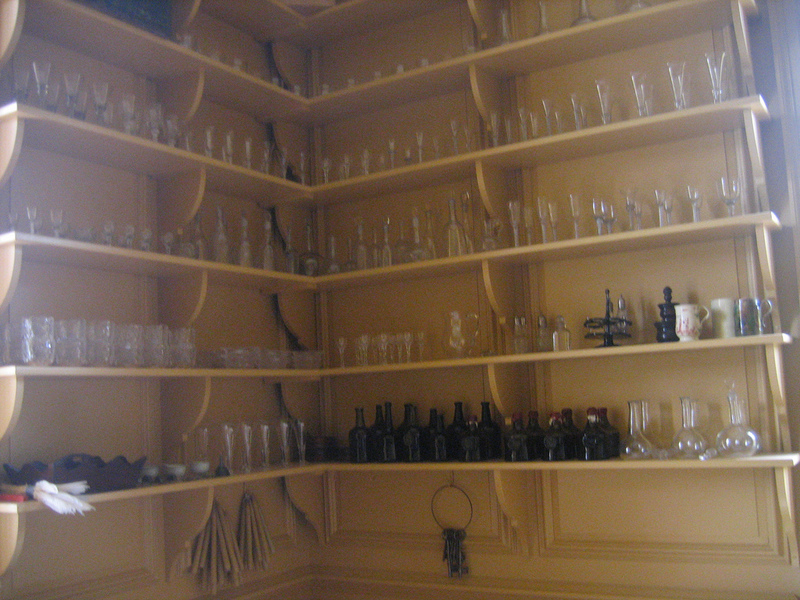 Bottles that may look like wine bottles were also used to store non-wine beverages and cherries. 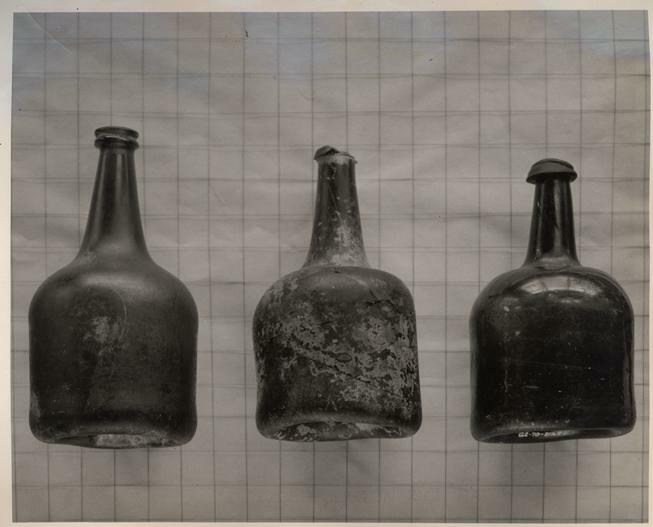 The so-called cherry bottles contained cherry pits and stems. It is not known if they simply contained cherries, cherries in a liquid, or brandied cherries. 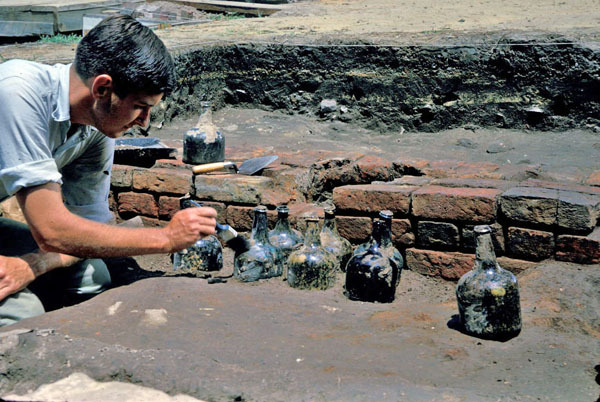 All of these bottles may be used to help date particularly areas of an archaeological excavation. Wine bottles may be identified by country of origin, date, and owner. 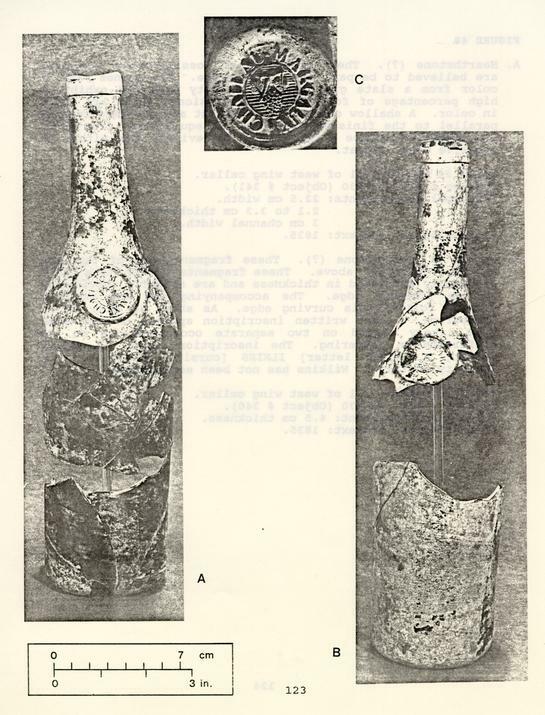 Some wine bottles contain an applied disc of stamped glass known as a bottle seal. 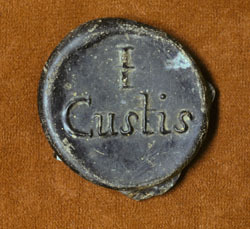 These bottle seals might be stamped with the owner’s name, the year of the bottle, or a coat of arms. This beautiful decanter dates from the same period. 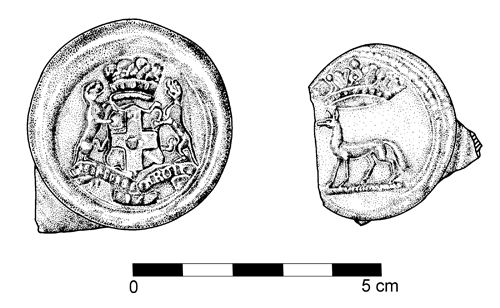 While this post is concerned with Colonial wine bottles, the excavations reveal all sorts of artifacts. 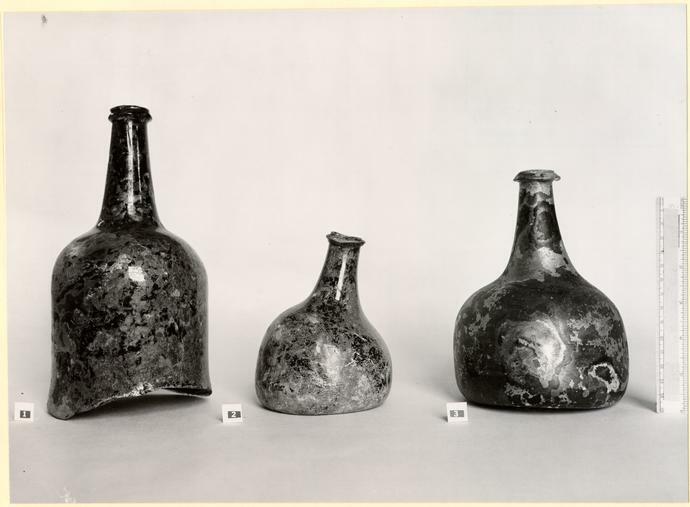 The excavated wine bottles were used as models for reproduction wine bottles. 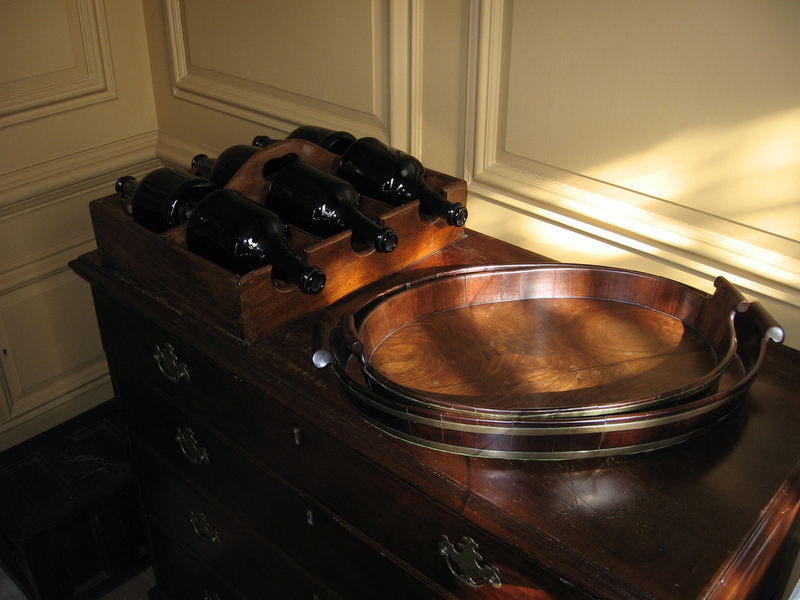 Throughout the buildings of Colonial Williamsburg you will find large displays of reproduction wine bottles. Incredible. Thanks for such a interesting collection on Wine in Williamsburg.